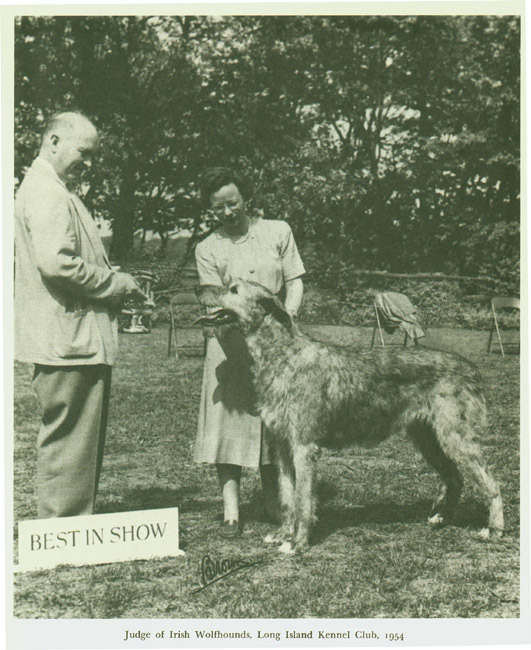 Fredson Bowers judging an Irish wolfhound competition, 1954. In 1936 Fredson Bowers accepted an offer from Dean James Southall Wilson to serve as acting professor of English at the University of Virginia. Except for a brief hiatus in Washington as a Naval Commander supervising the deciphering of enemy codes, he remained in Charlottesville the rest of his life. He soon established himself as a preeminent authority on bibliographical analysis, establishing principles and methods in descriptive bibliography and textual criticism. In 1948 he inaugurated the publication of Studies in Bibliography which he personally edited for over 40 years. As an active and innovative chairman he built the English department at U.Va. into one of the best in the United States. At the same time he relentlessly pursued a number of hobbies: collecting stamps, writing weekly music reviews for the Richmond Times-Dispatch, and judging Irish wolfhound shows. George Lyman Kittredge, ed., Five Plays of Shakespeare. Boston: Ginn and Company, 1941. 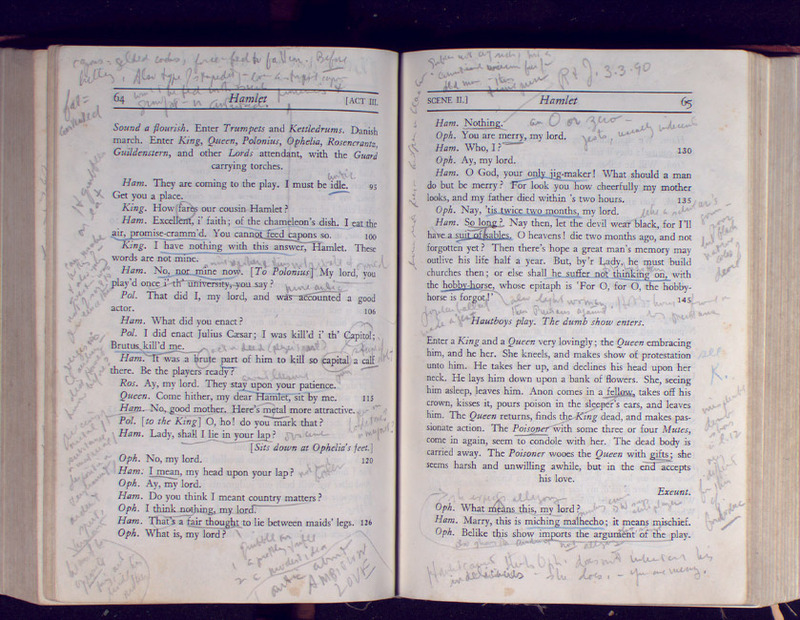 Shown is an annotated copy of Five Plays of Shakespeare used by Fredson Bowers in teaching University of Virginia classes.